Hello Friends! I've got a quick little post here. A friend of mine had surgery on her wrist, so I whipped up a little something for her. Hopefully, this will brighten her day a bit. I tried the 4-bar size card this time. I like it! It's a bit smaller than A2 and I thought it was the perfect choice for this band aid card. I used a digital image from my beloved MelJen's Designs collection. Just a side note, MelJen's has an all new website and a 50% off sale...go check it out! 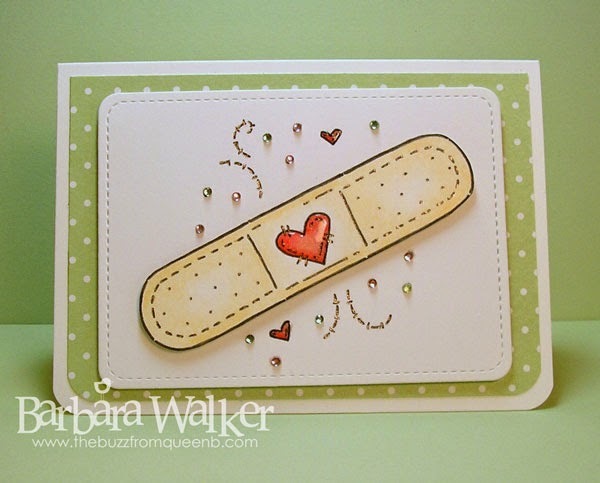 Back to the card...I printed the Little Heart Bandage onto white card stock and colored it with Spectrum Noir colored pencils and blended with gamsol. I added clear Wink of Stella to the heart. Then I fussy cut it out. I also printed the image onto another piece of white card stock and I die cut a panel using the Stitched Journaling card die from Lawn Fawn. 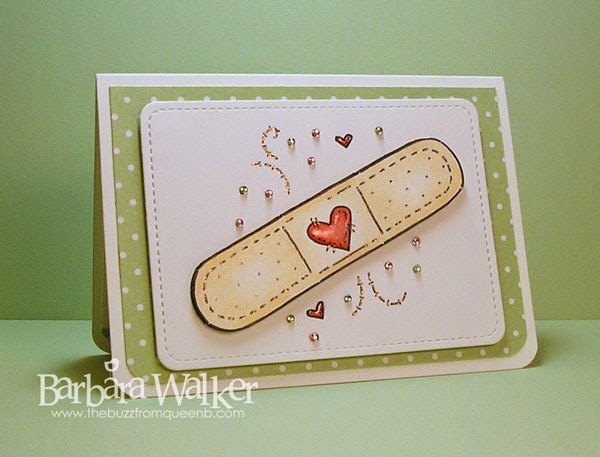 I wanted to have the swirls, bitty hearts and dots, but I also wanted the card to have dimension, so after I colored in the bitty hearts, I adhered the band aid with foam tape. Then I added tiny twinkles and glossy accents. 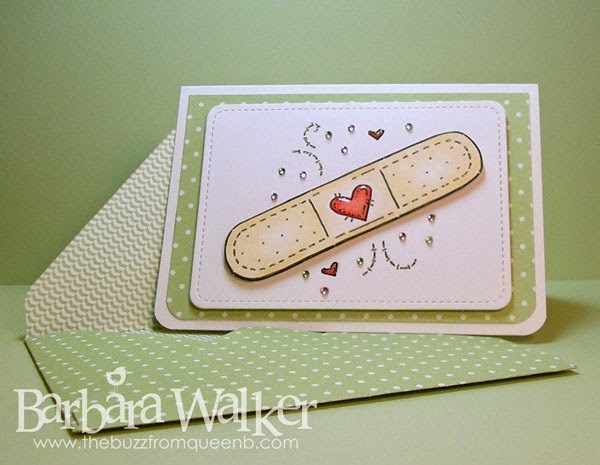 I decided to create an envelope for my card, using the We R Memory Keepers Envelope Punch Board. I really like a coordinating envelope. It just makes me happy! I've been a purist SU! for 4 Years and now that I'm getting done I'm tuning into sweet new things out there that are getting my attention! You're telling me there is a Glitter Pen out there Barb! Wow! It's the little things! Love these little twinkles too! Best Wishes for your friend!